At Crager Real Estate, we strive to help you with whatever may be necessary to sell your home. One of the most common issues our clients have is too much junk! We know that it can be irritating to constantly hear about decluttering your home, but all of your stuff makes it look smaller. That ultimately hurts how much you can expect to get for it. We have experience decluttering homes to go on the market, so we know how to clear your space. These tips are a great way to get started! You had the best intentions when you garbage-picked those items to restore, and you may eventually get around to trying out that new restaurant you’ve been hoarding menus for. However, it’s time to face reality. You may never use a lot of those things you’ve been holding onto. So, take a look around and figure out which things you actually need. This will make your home more presentable to potential buyers. You’ll be surprised by how much of a difference eliminating unnecessary items can make! When you’re ready to start going through your possessions, we recommend having three bins with you. The first should be labeled “Keep” and used for items you use every day. The second should be “Get Rid Of.” It can be difficult to throw away things you spent money on, but you don’t have to! Recycling it, donating it, selling it, and even giving it away are effective means of getting rid of excess junk without resorting to the dumpster. In general, if you haven’t used something in six months to a year, it’s time to get rid of it. From our experience, clothes and toys are among the hardest things to get rid of. For clothes, we recommend following the 80/20 rule. Most people wear 20 percent of their clothes 80 percent of the time, leaving a lot of leftovers that won’t really be missed. For toys, think about how often your children play with them. If they haven’t used it for a year or longer, it’s probably safe to move on. Finally, you can have a third bin for storage. These items probably have sentimental value for you, but you don’t use them every day. 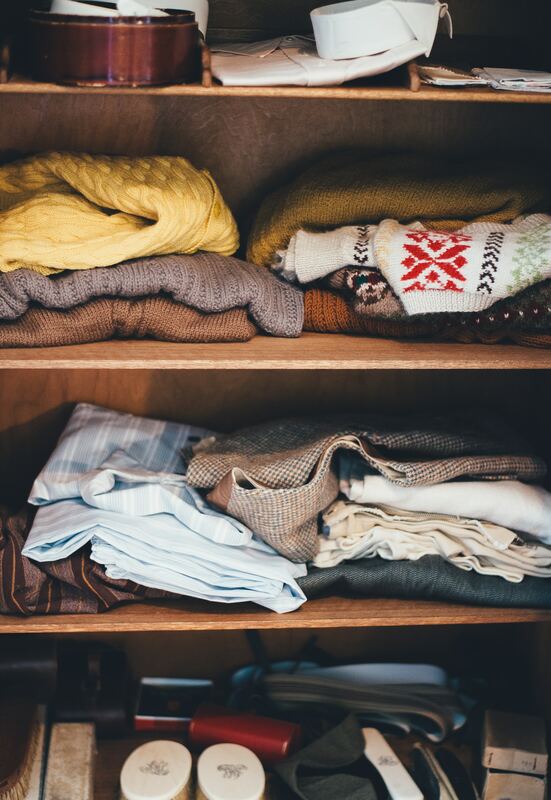 You may want to hang onto them, but this doesn’t mean that they need to take up your closet space. Put them in the attic, basement, or another less accessible storage area in your home. The best way to sell items in bulk is to hold a yard sale. Every municipality and homeowner’s association has their own rules regarding how to hold your sale, so contact your city or neighborhood for details. The most important things to consider for an effective yard sale are advertising and fair prices. If nobody knows about your sale, they’re not going to come. Likewise, make sure that everything is priced to move. The goal is to get rid of stuff, not compete with high-end retailers. The guidelines above should help you get your home ready for the market. Good luck!